We educate | Greaux Native! Here in Southwest Louisiana we are especially proud of our heritage, and our natural heritage is no exception. We have special ecosystems in our prairies, bayous and wetlands, and understanding the foundation of each of them, the plants, helps us better protect our natural resources. One way we “promote the use of native plants in our landscape” is to help our friends and neighbors understand their value. We educate in many ways. Our monthly meeting, on the third Thursday of each month, features a speaker who has expertise or passion to inspire us to bring more native plants into our homesteads, and help us understand why we should. We also organize tours of inspiring landscapes, often preceding the monthly meeting. Our default location is the Lafayette Public Library downtown. 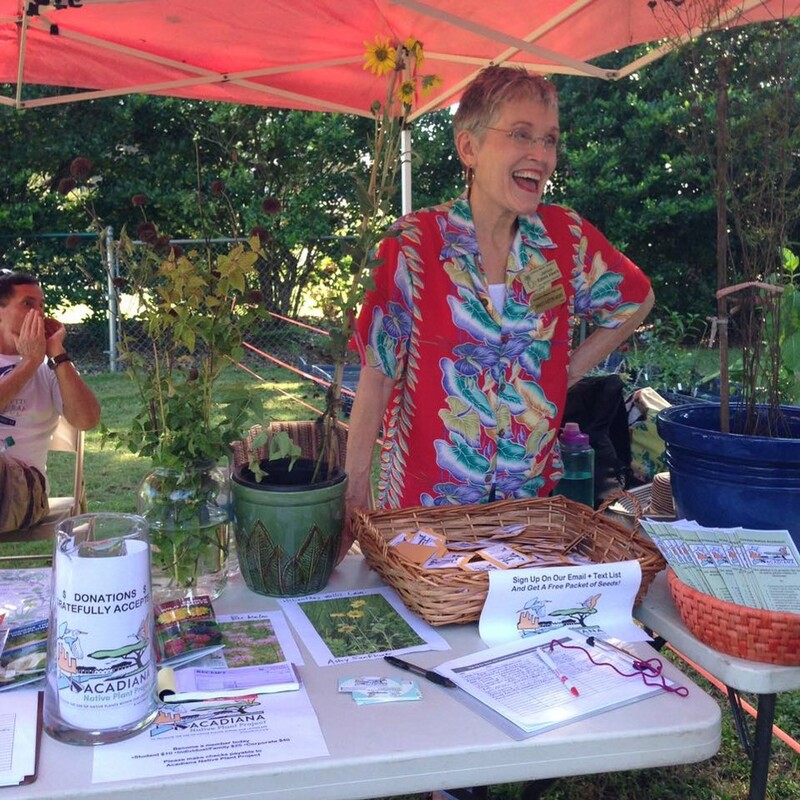 We provide resources to help you Garden Like a Biologist and share that message with others. We are happy to come to speak to your group! Just email us at mail@greauxnative.org and we can match the speaker to your audience. We also have information tables at local events related to gardening and the environment. Look for us! We often have seed or plant giveaways. We share notices of plant-related events with sister organizations in our state. We maintain this website as a 24/7, locally-relevant resource. Professional educators in ANPP help schools and teachers with curriculum and projects, like the Broadmoor Elementary PTO’s schoolwide Native Seed Ball Project with this budget. Let us know if we can help you modify these resources for your project. Follow us on Facebook or get on our email list to get up to the minute details about times, speakers and locations.